An All-Star Acoustic Evening at NJProghouse! 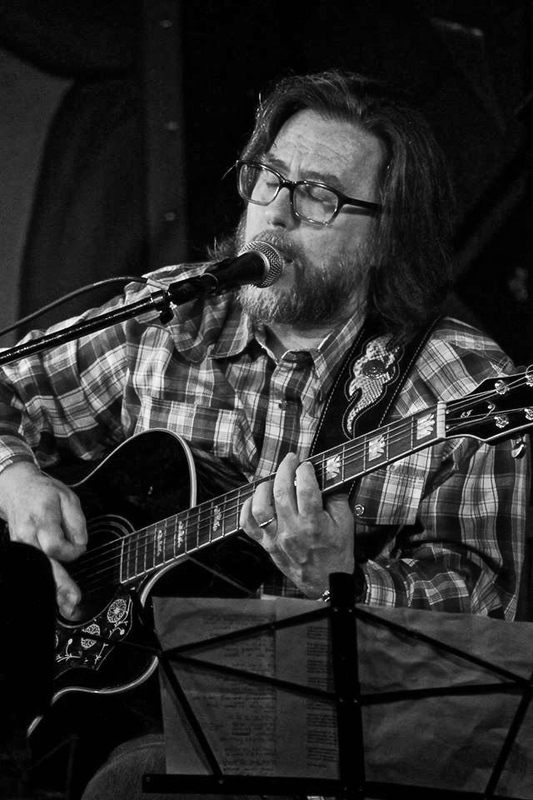 Ray Weston has been performing live since he was fifteen, and has spent the last twenty-five years performing with the progressive rock group echolyn. Ray’s contributions have been mostly through composition of words and melodies, often depicting dark life events and pairing them with sweet melodies, weaving stories that explore these experiences. Ray’s growth with echolyn continues to develop and redefine a compositional style best described as melodic, harmonic, rhythmic, and dynamic—true progressive rock. Defying categorization while achieving critical acclaim from around the globe, echolyn continues to bend the ears of the world’s listeners. The seeds of echolyn were sown in the late 1980s when Ray, Brett Kull, and Paul Ramsey played in a cover band named Narcissus. A year later, Christopher Buzby joined Kull and Ramsey to form echolyn, a band that made the conscious decision to create entirely original music, and they began recording their eponymous CD echolyn in 1990. Echolyn was a welcome breath of fresh air in that generally lean time for progressive music. The history of RED goes back to the summer of 1997, when Karl Eisenhart (Pinnacle, Twist of Fate) and Chris Michels (Apple Jack, Copper Penny) both found themselves “between bands” and tired of playing the same set of cover tunes that it seemed every cover band ended up doing. They started out as a three piece rock band with a fairly eclectic set list ranging from Wang Chung to Jethro Tull, but persistent drummer problems forced them to re-evaluate the band’s future before they even booked their first show. Chris’s abilities on multiple instruments lent themselves to a more acoustic-oriented project, so the “duo” era of RED was born. Because of the unusual instrumentation–in those days including mandolin, violin, electric bass, acoustic guitar, electric guitar and guitar synthesizer—it was practically impossible to stay true to the arrangements of most of the cover songs they did, so they just stopped trying. Most songs were rebuilt from the ground up to suit the sound of the group. This turned out to be an extremely freeing approach to music and also great research and development for writing originals. Karl and Chris quickly realized that the songs that seemed to resonate with the audience the best were the more stripped down/strictly acoustic numbers, so a great deal of excess instrumentation and amplification was shed and a smaller, more nimble version of the band emerged. This new version of the group recorded a CD called Oracle in 2001. Long out of print, it is now a collector’s item treasured by literally tens of people. In 2006, RED was hired as the house band at Bear Creek Mountain Resort. This meant that they were playing in the same venue weekly and necessitated a much more varied set list. Within a year, the list of cover songs they played (still ranging from Wang Chung to Jethro Tull and beyond) had grown to well over 100 songs, and originals were developing fast. The group could now play three full nights without ever repeating a song. Around this time, it was discovered that percussion is important, and since then a host of brilliant drummers have played with the band when time and space allow. Ian Frey (F.C.C., Sunshine Symphony), Moe Jerant (The Large Flower Heads) and Dave Parfitt (everybody) now all make regular appearances with the world’s most over-staffed duo. 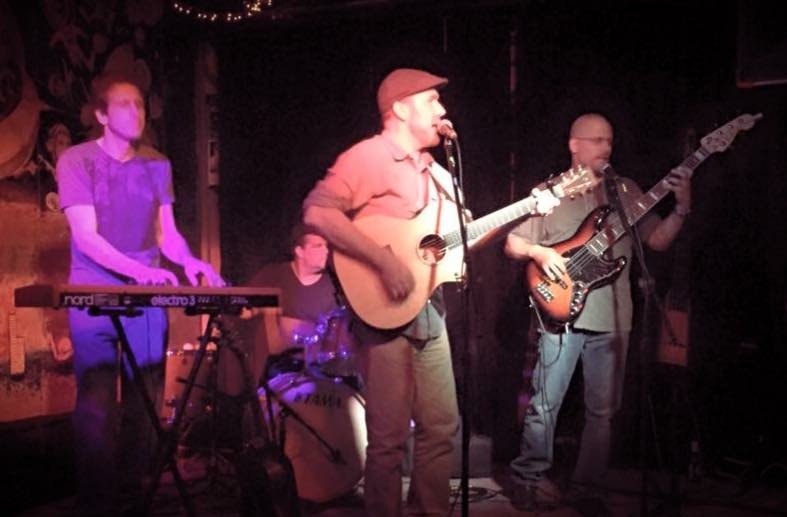 Valdez is an acoustic/electric band from Philadelphia, comprising UK singer/songwriter Simon Godfrey, Echolyn bassist Tom Hyatt, and Joe Cardillo, keyboard player for jazz-rock fusionists Cold Blue Electric. The group came together as part of series of informal get-togethers at Simon’s Duckland Studios in Philadelphia. The chemistry proved so good, the three decided to form a band and named it Valdez after a ’70s western movie Joe had liked. Simon Godfrey had fronted the UK band Tinyfish for 5 years before moving from the UK to live and work full time in the US. In those first weeks he met Echolyn bassist Tom Hyatt, during a night out at a Philly comedy club. In January of this year Tom suggested keyboard player Joe Cardillo join in on the sessions. The results we’re immediate. “It was if I we had been playing together for years. The way the three of us locked in with each other’s playing was uncanny.” said Simon. Joe has spent the better part of his life playing keys in a wide variety of bands, performing classics and original music throughout the tri-state area. The three are currently writing material as Valdez for a release later in the year. 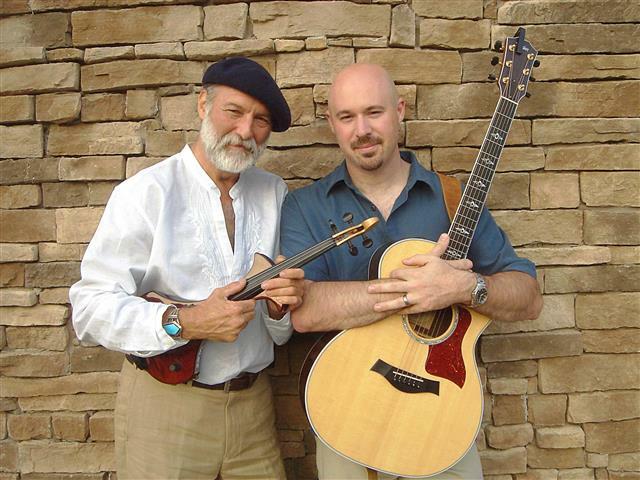 Pluck and Rail is the acoustic intersection of Andrew Sussman of the prog-rock heavyweights, Frogg Café, and George Gierer of the folkabilly band South County. 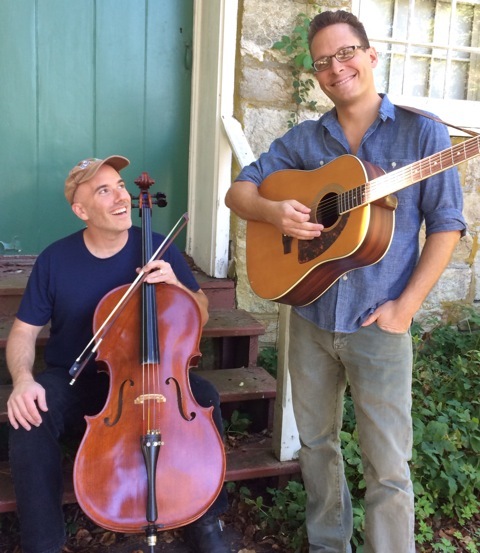 Drawing from the deep well of American music, Pluck and Rail blends together gritty songwriting, tight vocal melodies and soaring cello runs to craft unique sound. Bitter and sweet, pleasure and pain, Pluck and Rail.